As of late, I have been a bit concerned about housing inventory. Primarily because the biggest price drops tend to occur in the last quarter of the calendar year when it is more difficult to sell a home (at least over the last couple of years). So I checked in on our local listing service, Metrolistmls, and was in for a very pleasant surprise. They have recently rejiggered their site, so you can now search by status (active, pending, and sold). This is great news for us market watchers and data hounds. What is even better, is that I can now easily calculate "months inventory", which is a key market statistic for determining supply and demand. With a click of a button (single family homes under 500k), for both El Dorado Hills and Folsom, I was able to see that EDH had 109 homes pending, and 138 that are active. Meanwhile Folsom has 165 homes pending and 207 active. The results of both these queries shocked me (perhaps someone can double check my queries). This is a little over one month of inventory for both markets assuming all the PS close in 30 days. Of course, more realistically (dealing with banks), homes can take around 3 months to close, but even then, that is still only 3 months inventory. So just maybe, the positive trends I have seen over the last couple months in these areas will hold. For instance, the number of foreclosured homes in EDH is back down to levels not seen since mid 2008. Some could argue that the banks are holding back inventory, and that a flood is coming, but the whole shadow theory has lost credibility in my eyes. I'm feeling more confident that we have indeed found bottom, and are now scraping along. "The FAA says so-called through-the-fence agreements, where "hangar home" landowners adjacent to airports have gated access to the airport next door, threaten operations, safety, security and future expansion of airports and House Committee on Transportation and Infrastructure heard from all sides of the debate over whether these kinds of deals should be allowed. The FAA has proposed that the 75 existing arrangements between publicly funded airports and private owners be honored but that no further through-the-fence deals be allowed." This policy proposal may make things interesting for the hanger homes adjacent to Cameron Park AirPark. If the FAA rules that no new agreements can be made, I would imagine that home values for this development will go up. These homes have a very unique value proposition, commute to work, perhaps in they Bay Area, without ever leaving the comfort of your plane. The streets in their neighborhood are extra-wide for taxi-ing aircraft, and the garages are essentially small aircraft hangers. In aviation, there is a great saying people use when they lose situational awareness, it's called "loosing the bubble." The origin (best I can tell) is related to a piece of equipment that uses a bubble to helps pilots orient themselves to the ground. So when someone "loses the bubble" they become disoriented and don't have a full grasp of what is going on around them. So all this to say, I have lost the bubble on housing recently. Probably no surprise given that my posts have become very few and far between . So please keep that in mind as you read the following observations. After a really great June, both sales and prices were up year over year in Folsom and EDH, July was less than stellar as many analysts had predicted (with the end of the government handout). For the most part, we are still off recent lows, but not by much. What really has me worried as of late, is the build up in inventory. If this continues, we could go back to the era of double digit price declines. According to housing tracker, Sacramento inventory has been steadily climbing, and is now at levels we haven't seen since November 2008. Folsom and El Dorado Hills don't appear to be abnormally high, but we are moving into the time period where it gets harder to move a home. There are a lot of analysts predicting a double dip in housing. I'm still thinking, for the Sac Metro area, flat year-over-year for several years (no appreciation, but not much depreciation either). 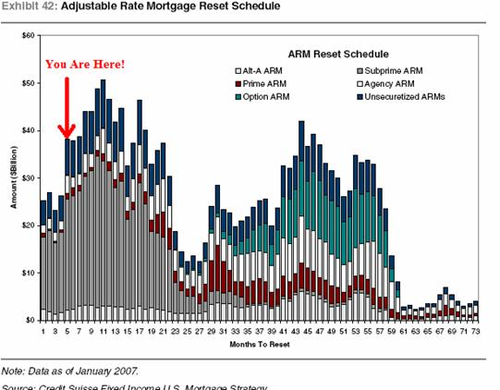 Foreclosures and NODs appear to be cresting, but I continually hear stories of new ruthless defaults. On a personal note, I don't imagine I will make much effort to get my bubble back. I thrive on new challenges (our garden is my new project), so posting activity will continue to be very sparse, and eventually go the way of Sac Landing and SacRealStats. I recently heard a first-hand account from a friend who put in an offer on a vacant short sale lot in the El Dorado Hills area. The bank initially agreed to their offer, but then balked and said they had to pay all the back HOA dues. Back dues were not something they could roll into the cost of their loan, and represented a sizable chunk of money, almost 10% of the offer price. The bank wouldn't budge, they withdrew their offer. The lot goes into foreclosure next month, and to the best of their knowledge the bank has no back up offers. Seems like a lose-lose-lose situation. Now the HOA get's no $$ from the sale, the bank is likely to lose more $$, and our friends are lotless. When will the madness end? A while back, I reported that the high end was "hopeless," based on some statistics, and a lot of anecdotal stories. Well times have changed (it is late spring after all). Several of those that had decided to hold off, are now back in active offer mode. All are move-up buyers. Our dear friends, are even a bit frustrated. DQ numbers are out for the month of May. Sales and price are both up (year-over-year) for Folsom. Sales are up for El Dorado Hills, but median price is down 5.4% annually. However the median is still above the low hit in Oct 2009. By special request, below is the chart of median price per square foot for Folsom and El Dorado Hills. Again, seems to me that we are in a new phase, where prices fluctuate a bit month to month, but overall, stay fairly flat. The growing gap between Folsom and EDH is somewhat distressing, and leads me to believe it may close up some time in the future (either Folsom dropping, or EDH rising). Wow, I didn't realize it had been so long since I last posted the historical charts. As usual, both sales count and price (average and median) are presented from two different sources. Note that the Melissa data includes new home sales, and cites the average, which is typically much higher than the median. To help wade through all the monthly fluctuations, the 6 month moving average is now emphasized. The strong downward pricing trend over the last couple years has given way to a new period of relatively flat prices. I believe this new trend has momentum since sales are also up, or flat. The forecasted flurry of foreclosures appears to be more of a steady trickle. The number of foreclosures and defaults, while elevated compared to historical standards, are both off their previous peaks for Folsom and El Dorado Hills. When we bought our place a year ago, I put together a monthly budget to make sure we could afford it on one salary, should one of us be out of work for an extended period of time. At the time it seemed doable. Now, I am extremely unhappy at work, and have been looking at our family budget from a new angle: "Can I afford to quit?" So inspired by today's post on the Juggle Blog, and the State's finances.....I am seeking some budget advice. Before I start in, let me preface this by saying, we have really tried to find a financial advisor, but have not had any luck. Advisers tend to fall into several camps, they only deal with folks with high net worth (focus on fewer clients), they work on commission only (we don't have investments outside our 401ks/IRAs), or they don't follow up with you. Ideally I would like to get answers to questions like, "Are we saving enough for retirement? ", "Do we have a big enough cash cushion?, " "How much life insurance is really necessary?"etc. Looking on the web, I find lots of advise, but none of it seems that realistic. Do people really have that big of a cash cushion, or that much life insurance? (given that the personal savings rate in this country is so very low). I have attempted to go it alone, and created a large spreadsheet for retirement projections, factoring in inflation, SS earnings, contributions, and withdrawals. It all seems reasonable, however because retirement is so far off for Mr. BT and I, the projections are especially sensitive to the assumptions due to all the compounding, so the exercise becomes almost meaningless. If I were to quit, we would no longer be able to save for retirement, and we wouldn't have much extra cash to start saving for our kids college education. On the other hand, we do have a substantial nest egg by national standards (we have been putting away the max contribution in our 401ks for several years now). Mr. BT and I used a combination of loans, work study, and scholarships to pay for our educations. So any words of wisdom or advice? I'm really not satisfied with any of my options at this point. Or perhaps a financial advisor to suggest. The irony in all this, to get a financial advisor, you have to have a lot of investable assets. But how do you get a lot of investable assets if you don't have a financial advisor? Dare I Say Bottom? I know we have had a lot of fits and starts, especially in the spring time, when you typically get a little bounce, but the market around here is really beginning to firm up (of course it's hard to say with all the tax credits flying around these days). This winter things were looking pretty bleak for my beloved neighborhood, almost 10% of the homes were up for sale, several still left to be sold by the builder, some short sales, a couple foreclosures etc. When I checked this morning, all but one are now pending sale. That's a pretty dramatic turn around. And as much as I would love to think everyone else has discovered how wonderful our little community is, I know our situation is not unique. Melissa Data average prices in El Dorado Hills hit a bottom in November (09), and have been slowly (but erratically) climbing since then. Similarly, Folsom has had 3 months since their last low (back in Jan 10). And year-over-year sales have increased for both those zips since December 2009. The fact that price and quantity are beginning to move in tandem, which hasn't happened consistently since Mid 2005, is a big deal in my book. After 2005, prices were still increasing, but sales started dropping. In the last year or so, sales have been increasing, but prices were still dropping. So what do you think....are we there yet? The first time I visited the East Coast (Philly suburbs), what made the biggest impression on me was not the Liberty Bell, but the fact that backyards weren't fenced (I was around 12 at the time). As someone who had grown up in California, I had never seen a home without a fence, let alone entire suburbs without them. Many years later, this is still a very common practice out there. In fact, my sister-in-law is now renting a newer home in a very upscale neighborhood in the D.C. burbs, and there are no fences. Aesthetically, the no-fence thing, is very pleasing since fences can vary in appearance significantly from neighbor to neighbor, and they also look terrible if not maintained. In California, a backyard without a fence is virtually unheard of. HOA's and CCnR's have evolved to reign in the use of a multitude of materials and styles. Our backyard doesn't offer as much privacy as most. Some in my family think this is very odd/unusual. Perhaps because we spent so many years living on the East Coast we no longer saw backyard privacy as that essential. That said, we are in a very private little development, with limited access, so the only people driving by, are the ones who live her. How do privacy requirements fit into your purchase criteria? Earlier this month I was really surprised when I took a look at the MLS in my zip code. So I decided to take some time to scrape the MLS for El Dorado Hills to get a better idea of what is happening. The results are presented in the table below. As you can see, I was not imagining things, PS and PSB together make up over 100 listings. It is also obvious why median is a better statistic, because the average is strongly skewed toward the high end, due to some really pricey homes in this zip code. Month's inventory, while low by these numbers, is somewhat useless in a distressed market. PS take longer to close when dealing with banks, and all the AS/ASC listings can take months to go PS, even when they have a legitimate offer. It will be very interesting to see if this pace keeps up. With this month's update of market stress indicators in our local area, I now have 2 years of historical data on NOD (notice of default) and REOs (real estate owned). These two metrics for El Dorado Hills and Folsom, while off their previous peaks, are still highly elevated compared to normal times. It's safe to say that home prices in the area are no longer in free fall, but continued stress will keep a lid on any appreciation for a long time to come. Speaking of market predictions, by now I had expected interest rates to be at least a full percentage higher. It was one of the factors (not a huge one, but certainly material) that led us to purchase when we did. But there has been a lot of talk on the blogs and in the MSM lately about interest rates, and how we have managed to keep a lid on inflation. Guess it's a good thing I still have my day job, cause predicting economic indicators doesn't seem to be my strong suit. As most of you know, when you purchase a new home, they typically come with front yard landscaping. This leaves a blank slate for the backyard . So Mr.BT and I regularly watch Yard Crashers on DIY to get some ideas. Of course, every time we hit the hardware store, we are hoping to find the host, Ahmed Hassan there. Recently I realized its not a completely far fetched fantasy. Now that we have started doing work on our yard, I've become familiar with some local Sacramento companies. Lately, when watching the show I noticed some of the same local Sacramento companies. For instance, we bought wood for our deck from Berco, which is a local lumber yard that is regularly featured in the show. I also saw the lighting geek appear a couple times. From what I can see of the store layout where he meets people, I think he prefers OSH , but I hear he has also hit Emigh's. So I did a little research after tonight's show out of curiosity, and apparently Yard Crashers is produced by a local Sacramento company! Unfortunately, by my calculation, I doubt we will ever make the show cause I figure they find folks on a Friday afternoon, so that they can come back over the weekend to do the work (and Mr. BT and I are usually hard at work then). With spring upon us, we are envisioning all the possibilities, but certainly wishing we had a little help. The new DQ stats are out for the Sacramento area zip codes. February 2010 marks a milestone for EDH. This is the first positive year-over-year median price since November 2006. I also took a look at the MLS the other day. I was stunned by how many high end homes were PS. By my rough count, less than 6 months inventory at the high end, which is simply shocking, as I remember it being over 30 months a while back. Again, this assumes that everything PS closes in a month, which we know it doesn't.....but still, a huge sea change from earlier, especially given all the gloom and doom hype about the high end. It's a small increase for EDH, and I don't have the #s for Feb 2009 (for the 38 data points, ironically that's the one I am missing), and the year-over-year price per square foot is still slightly negative. One additional caveat, this happened to Folsom a couple months back, but now they are back to double digit declines. I should also note, that recent statistics show that Folsom has caught up to EDH in terms of correction. Both have corrected between 38-40% off the peak price, and are only 5% above late 2002 levels (which is the earliest my data goes back). All stats are based off DQ resale numbers. Update: Some corroboration from today's WSJ. Does Two Months a Trend Make? Popular wisdom posits that high end home prices still have a ways to fall in California. The short version of the story goes, that sub-prime loans went bad first, so the lower end homes have more or less hit bottom, but the Alt-A and Option ARM loans which were sold as "affordability products" to purchase more expensive homes have yet to sour/reset en masse. Last month I noticed that sales were up in the two zip codes I tracked. These two zip codes are generally considered higher end for Sacramento. The January DQ numbers just came out, and it appears this trend has continued and was rather pervasive. To test this hypothesis, I compared the year-over-year change in sales, with median home price for all the reported zip codes in the Sacramento Metro Area. The results confirmed what I observed, a positive Y-o-Y increase in sales was correlated with higher priced zip codes, +.27 correlation. When I removed zip codes with very few sales (less than 5), the results were even better (removing big % swings due to small numbers). For zip codes with 5 or more sales in the month of January, the correlation with median home price was even higher, +.34. I realize two months isn't a trend....but December and January are notoriously some of the worst months in real estate. I am now anxiously awaiting February sales numbers to see if the trend holds. We bought a new home a year ago last week. As one who follows market trends, I was well aware of the continued downside potential in the Sacramento housing market, so our decision still causes me a bit of anxiety. However according to the latest DQ stats, so far the damage isn't that bad. As of January 2010, the number of homes sold in El Dorado Hills is up (29%), median price is only down 3.4% and price per sqft is only down 1.3%. Stats for Folsom are fairly similar. Of course three numbers can masks a lot of undercurrents. But other stats are looking favorable as well......the number of NODs in the two zips continues to fall and foreclosures have held fairly steady despite the earlier surge in NODs. At the same time, my own neighborhood, a new development, is slowly starting to crack. There are many short sales currently on the market and at least two foreclosures now. However Zillow only shows a drop in value of 3.4% (perhaps tied to the median price decline as opposed to comps?). On a personal note, so far we have been absolutely delighted with our decision. We love the neighbors, we love the neighborhood, we love the house, and we especially love the drive into and out of our neighborhood. On a clear day you can see the snow capped Sierras on the way in, or the entire Sacramento Valley on the way out. Our only disappointment has been that our builder, Pulte, did a super crappy job landscaping our front yard, and laying the drainage. I will report more on that in a later post. I spent last week on the East Coast. Scraping ice off my car in 17 degree weather, and spending an hour on the toll road to drive 5 miles on my commute to work, are just two of the reasons I was so thrilled leave and return to Northern California. However the market for both residential and commercial real estate is strong there. No for sale signs (even in high end neighborhoods) or vacant store fronts. It's a stark contrast to what I see around here. Is December a Month to Remember? Below is a short summary of housing statistics for Folsom and El Dorado Hills. The data come from two separate sources. The top set only included stats for existing single family homes, while I believe the bottom includes new home sales too (note the bottom set also uses average, and not median). December's numbers surprised me quite a bit. Double digit increase in sales, and only single digit drops in price. Typically December is a really slow time of the year for real estate, and I figured it would be even worse with government subsidies drying up. Could this be the end of free fall, or is it just a dead cat bounce? In case you haven't heard (thanks to all who forwarded e-mails), El Dorado Irrigation District is proposing a huge rate hike (80% over the next 5 years). Up till now I was hesitant to post anything about the protest, since I was worried they might default on their bond obligations. The literature I read made it sound like they needed the money to pay for infrastructure projects etc. Well, now I am pissed off. I just saw today that the proposed rate hike is not all about covering the cost of water projects. Apparently there were some massive pension increases (35%) approved back in 2004. This seems really irresponsible to me. Times have changed. I understand that forecasts were calling for continued revenues, but revenues have changed drastically. Everyone should be asked to sacrifice, not just the rate payers. EID is proposing a series of rate hikes starting with 35 percent in 2010, 15 percent in 2011 and concluding with 5 percent raises for the following three years, 2012-2014. The notices began arriving last week in your bill. Altogether it compounds out to an 80 percent increase in five years. The first rate hike is planned to go into effect a week before February, 2010. The notices start a 45-day deadline for ratepayers to mail written protests to EID. Protests must include the assessor's parcel number of the property in which the person signing the protest letter has an interest, either as the owner or a tenant paying the utility bills. Only one written protest per parcel is counted. Under the terms of Proposition 218 if 51 percent mail in objections to the rate increase within 45 days the rate increase is defeated. After complaining about the beige and neutral colors of our rental home for several years, you would think I would be jenny-on-the-spot with a splash of color. Oddly, now that I have the option, the desire has left. But this got me to thinking about wall color. With our first home, we were careful not to choose wall colors that were loud or bright. We didn't plan to stay there long term, so Mr. BT was always concerned about resale value. Since moving back to California, I have noticed that wall color is not very common in the homes we have looked at. In fact, rentals and MLS write ups often tout neutral colors as a selling point. So this brings me to my question, is wall color simply out of fashion, or are people still thinking of their home as an investment (i.e. don't want to personalize the home and risk making it less appealing)? If it's actually the latter, paint sales would be a great indicator that the market has finally returned to normal. Back in November, I suggested that the wave of NODs in the two zip codes I track may be cresting. A month and a half later, it sure does appear that way. However, I'm starting wonder if there could be something else is afoot. Around this time last year we saw a significant drop off in fillings due to state legislation, coupled with a holiday reprieve by some of the government agencies (not sure if it only applied to foreclosure or if it applied to NOD filings as well). So I'm starting to wonder if the wave is actually cresting, or if it's just a temporary lull to avoid the potential bad PR of throwing a family into the streets during the holidays. It's hard to know for sure. I'm curious to hear other's thoughts. In any case, I do think the number of foreclosures will slowly creep back up, as the NODs run their course. To be honest, I expected to see a lot more foreclosures by now. Fewer NODs are resulting in foreclosures (at least according to the data I track). Perhaps banks are more willing to negotiate short sales, perhaps there is shadow inventory, who knows. There are plenty of stories swirling about the blogs that make me feel like a sucker for having played by the traditional rules. The worst is the story that goes something like this.....a couple buys a home with no money down, extracts thousands of dollars in equity, which is then used to purchase exotic vacations and cars, then they stop paying their mortgage and bank the savings for a year while the bank slowly processes the foreclosure, or better yet get a permanent mod with a principle reduction. The one I have actually experienced first hand, more than once, is related to short sales. The story goes like this, we walk into a nice home, with furnishing worth 8 to 10 times ours, the house is adorned out with all the latest electronics (massive flat screen TV, home theater stereo), toys galore (often high end car or boat in the garage), and of course the built in BBQ in the backyard, only to find out the house is a short sale. If they sold off even 1/5th of their possessions, they would have enough money to make the mortgage for the next year or so. Then Mr. BT and I leave feeling like we played the game all wrong. So yes, I am bitter and venting a little, please bear with me (I just spoke with another friend who is now planning a short sale/walk). I realize there are plenty of people who played this game and lost everything......but at the same time there are way too many who played it and hit the jackpot (heads I win, tails you lose). The way I see it, without skin in the game, it will be played over and over with the same result (the 3.5% FHA down payment loans are perpetuating this game). Will be on hiatus for quite some time (at least till after the new year). Hoping this holiday season finds everyone happy, healthy, and employed. Below is a picture of what our family woke up to Monday morning (the view from our backyard). The wonder and delight in my kid's eyes was contagious. This time of year I find myself thinking a lot about needs versus wants. Two things set me on this train of thought. The first, was the FHA loan limit for the Sac Metro area, and the second, a wish list item for a needy family. Let me make a couple observations before I get back to this. In theory there are very few basic needs for someone living in a developed country: nutritious food, clothing, clean water, shelter, electricity (for heating and cooling), transportation to and from a job. There are also many additional things that are considered basic needs by most Americans, but which I classify as wants: cell phones, TVs, name brand clothing and shoes, ipods, sushi etc. So back to the housing related discussion.....in theory, the FHA is supposed to help folks of moderate means secure a loan to buy a home. So I was pretty stunned to learn that the FHA limit for the Sac Metro area is $580,000 (according to my google query). A loan of that size gives you access to over 90% of single family homes in the Sacramento area. A family of modest means should not be purchasing a home for almost 600k. The whole FHA thing has gotten way out of control. As to the second item, call me a Grinch, but I recently received the wish list of an "Adopt-a-family" through my moms group, and I was really surprised. It had items like "gift card for ipod", and matching bedding set. These are items my kids don't even have.....since when does a kid from a truly needy family have an ipod? Are my ideas of basic needs to stringent, am I being too judgemental? When I first moved to Sacramento after college, I ate ramen noodles, had a bike, a bean bag, a small radio, a microwave, and slept on a futon. I made due on my $10 hr job at a non-profit, and even managed to save some money for graduate school. As many of you all know, I'm a bleeding heart, but using taxpayer money to subsidize a loan for a $580,000 home in the Sacramento area, and buying ipod gift cards is a stretch, even for my sense of charity. Was looking for some context on how the Sacramento Metro Area housing market compares to the rest of California. Below are two charts, the first has data for all California cities, and the second, only data from cities in the four county metro area. The horizontal axis is the Oct 2009 median home price, the vertical axis is the % change from Oct 2008, and the size of the bubble is the number of home sales in Oct 2009. Charts were cut off at 1 million price tag and 50% increase/decrease to better show the majority of the data. The grey bubble in the first chart is data from the city of Sacramento. It's probably too early to tell, but the wave of NODs appears to be cresting a bit. At this point, I expect REOs to start picking up steam, now that many of the NODs have run their 90 day course. I also expect NOD activity to be elevated for some time as the 3 & 5 yr (Option) ARM loans issued in 2005 - 2007 begin to readjust. Low interest rates won't protect these folks forever. Hopefully they are taking advantage of low interest rates and are refinancing into a fixed rate (if they are able). I would really love to see an updated chart of when the different loans begin to adjust (taking into account refinancing etc).....like the chart here which seems super scary till you look here and see the perspective of what we have already been through (we are around month 35 if I read the chart correctly).....this one is the latest I have found and doesn't seem all that different from the original one (all links courtesy of Lander's Blog). I'm one to continually reassess my views as new information comes in. If you had told me at this time last year that we would be purchasing a house in February, I would have looked at you with an incredulous stare. Up till now, I figured the worst of the price declines were behind us.....but I am beginning to reconsider. Today's WSJ development's blog had a very disturbing statistic that really jarred me. The post was about the fact that the FHA, VA and other government backed, low down payment, loans account for an overwhelming proportion of the market. The post noted that "In Northern California, for example, builders said that the government accounted for 76% of all mortgages." I had seen a couple posts on Dr. Housing Bubble and Calculated Risk which broke out purchases by loan type, with roughly 28% using FHA, and 26% using cash (investors), for Sacramento. This seemed reasonable given the tax incentives and distressed inventory, but 76% for the region is downright frightening. Assuming 25% investor purchases, this suggests there is absolutely no demand without government subsidization. I shudder to think about the fate of our housing market if this is true. With interest rate likely to rise as the government pulls out of the mortgage backed securities market, and very little organic demand......we may be in for a bigger drop than I had originally foreseen. The only saving grace is the continued reduction in inventory.....but in the face of these statistics, I'm not sure it will be enough. As some of you know, I really like to monitor housing tracker since it looks at several price ranges as well as inventory. Thought I would do a retrospective look at how the market has behaved over the last couple years, and compare it with the predictions I made back in December of 2008. The top table is the raw numbers from HT. The second table is the % change from one line to another (except the last line). Price declines have certainly moderated since Feb 2009, compared to previous year, with even a slight uptick at the low end. Meanwhile inventory continues to decline. Both of these are good news for Sacramento housing market health. As banks complied with the legislated wait period in California, new NOD activity slowed to a crawl in the fall of 2008. This means the pipeline of foreclosures will temporarily dry up sometime in early to mid-2009. Together with inventory down significantly, this should lead to stabilization in prices for at least a couple months. But slowed economic activity and job losses will take a toll on the local economy. Excess housing inventory and frustrated sellers, will keep downward pressure on rents. As a result, by the end of the year home prices will continue their downward march, eventually surpassing what I consider affordable/sustainable levels (based on historical price/rent ratios and income)........In terms of time lines…..next year home prices will level off then continue to fall to affordable levels, with years 2-4 seeing no increase, and perhaps single digit decreases, in prices as excess and distressed inventory are absorbed. I'm curious to hear the predictions of other market watchers....what do you think things will look going forward? Continued stabilization or or plummeting prices? Last Spring I reported that I was aware of several folks in the local market to purchase a home. All were actively looking and making offers at what I consider the high end (500k and up). At the time this gave me hope that the market was starting to spring to life. My have things changed. In the end, two gave up and stopped looking to buy, and the third is not very hopeful about their current negotiations. I believe all three attempted short sales at some point and were incredibly frustrated by the process. This is not very encouraging news, even though it is only anecdotal. I don't really run in those circles, so if you think about it, this turn of events is even more disturbing given the small sample size! As a sanity check, I took a brief look at homes which fit my old criteria in the 95762 zip code. If all the PS homes were to close in one month, it would mean a 4.8 month supply...which is fairly modest. So there is at least some life in the market. It's now been a little over 6 months since we moved into our new place. There doesn't seem to be much to write about lately, so I thought I would post an update on our situation as I am in serious procrastination mode. Job Front - Huge sigh of relief for me. It was just announced that the Federal government (Department of Transportation) renewed our contract . Barring any major unforeseen troubles ahead, in theory, this means I have job security for at least a year or two. Mr. BT works for a small company, so his situation is always somewhat precarious. On the home front - In terms of landscaping our barren lot, we obtained all the proper permitting, and are now working on building a deck. I'm doing a terrible job keeping plants alive so far (this is nothing new, but for a while my track record was improving). I'm not sure if it is our backyard exposure (to the South), but even the herbs that flourished last year, didn't seem to take this time around. Perhaps it's because I used the leftover seeds from last year? I still look at the MLS and Ziprealty, but primarily for backyard ideas. We are somewhat limited with what we can do, as our soil is incredibly rocky. It's a bit of a catch-22, in that I hate to spend a lot of money on plants if they are just going to die, but if I don't spend more money and buy a larger established plant, it is much more likely to die.....sigh. I still haven't covered 7 windows with anything permanent (we have paper up). We hired a contractor to help pour the concrete deck pilings, so we decided to wait on some non-essential spending like window coverings. The builder is putting the finishing touches on the last couple houses in our development. We have been really pleased with them, as they have been very responsive in terms of customer service/maintenance issues after we purchased. As far as our neighborhood, I couldn't ask for better. People really seem to look out for each other. For example, one night I forgot to close my garage door, and the neighbors across the way called around 9pm to let me know it was open. In addition the neighborhood has an e-mail chain, that helps alert everyone to problems/issues, and community events. Family Front - We experienced a terribly tragedy in July. The wife of Mr.BTs brother was killed in a motorcycle accident (she was in her 30s and had two kids from a previous marriage). This has motivated us to get on the ball regarding a will/trust and to make sure there are provisions to take care of our kids should something happen to both of us. I still get sick to my stomach every time I see a motorcycle on the freeway. I mention this as food for thought because, it has ramifications on how you record the title of your house. This tale just keeps getting more bizarre by the minute. The short sale saga I told earlier this month, just took a very weird twist. It was just listed on the MLS #90072959 for a whopping $692,900. This is the exact same house, that sat on the market for over a year for $550,000, and then dropped do $475,000 for over 6 months. As mentioned in the last post, according to the Bee database, it was bought for $359,100 recently. Why on earth would they list this house so ridiculously high? It has done nothing but deteriorate since it was last listed. Perhaps they sunk a couple 100k into fixing it up....unlikely. I have an appraisal that valued the home at 460k. Good thing we didn't wait around to buy this one from the bank.....it will certainly be interesting to see how much it actually sells for. It's been a long time since I posted the updated historical charts for Folsom and El Dorado Hills. Please note that the unlabeled source reports the median price, while the MelissaData chart is the average. I believe the MD chart includes new home sales, while the other is primarily for resales. The late fall is when the biggest price drops have occurred over the last couple years. It will be interesting to see if this trend holds true for the current year. With many tax credits expiring and a backlog of foreclosures, it is certainly possible. Is it Price or Percentage that Matters Most? I commented on yesterday's thread that I think the dollar drop is more important than the percentage drop, since real people deal with real dollars and not percentages. This theory is primarily based on my observations of the housing tracker data which tracks three different price points, the 25th percentile, the 50th (median), and the 75th. Below is an excerpt from the data which illustrates my point. While the percentage difference at the three price points, varies greatly, from -54% to -34%, the actual drop in value is much closer. Important to note also, that the 75th percentile has dropped almost 20k more in dollar terms, even though the percentage makes the total drop seem small compared to the 25th percentile. I thought it might be worth reposting an update to yesterday's post in case folks don't follow old material. Below is a table (apologies for so much data in such a small font), with a comparison by zip code, starting with the June 2009 median price (as well as count of transactions and price per sq ft), compared to the minimum and maximum prices since August 2002 (data doesn't go back any further). In the minimum field, a red date indicates the median price minimum was before the bubble burst, a blue date indicates a median price minimum was hit after the bubble burst. No color indicates that the most recent month was the minimum. The percent drop from peak (maximum) is also color coded for the severity of the drop (red most severe, green least). Zip codes are sorted from the greatest dollar drop from peak to the least. Note: Data has been filtered for zip codes with at least 10 transactions in June 2009. Hats off to Michael Choe. Time Magazine (2005 & 2009) and the Sac Bee both featured him for his prescient decision to sell his Natomas home (that he bought in 2001) in 2004 and buy a foreclosure in 2008. While our story is similar but a slightly later timeline......what really struck me was his true reason for purchasing before things had bottomed out. According to the Sacramento Bee "The real story was that his son was ready to start school. Otherwise he would have waited two more years to buy." Our purchase this year was highly motivated by this same reason. Closing in February gave my daughter enough time to get to know some of the neighborhood kids who are also attending/starting the local elementary (she started Kindergarten in August). Of course I get serious pangs of anxiety about this decision, as I watch the NODs in our neighborhood pile up. But knowing there are other bubble bloggers out there who followed the same route has us, is giving me great comfort. Sometimes life just gets in the way of making a buck. For instance I forbade my husband to even think about selling our Townhouse in D.C. when I was pregnant/on maternity leave. I just couldn't handle the stress of a toddler, a newborn and a move. So we missed the peak in the market by about 6 months(luckily the peak in our area was almost a year later than Sac), .......and moved to Sacramento when my son was 9 months old. The Bee article states that he frequent the blogs....hope he pays Average Buyer a visit, as he sounds like a kindred spirit. A flipper bought the home for $550,000 in March of 2007. At the time, she thought she was getting a great deal. With a first ($440,000 with National City and second lien for $55,000 with Countrywide). House was put up for sale in October of 2007 listed at $579,000 (then dropped to $550,000). She had worked out a deal with them to lower her payments while she tried to sell the house. February 2008 - We submitted a written offer and negotiated with a seller on a short sale. Unfortunately, the bank would not approve the sale at our offer price (approximately 20% below asking). The seller did receive bank approval at 14% below their list price, and they immediately re listed the home (before we even responded that we wouldn't increase our offer price). We feel like we were played so that they could bring an offer to the bank and get a "bank approved" figure. August 2008 - We resubmitted for the Short Sale that we tried for in February in the hopes that the bank would be more willing to negotiate now that 6 months have passed. We even paid $300 for an appraisal. The bank would not negotiate. We believe the home is now going into foreclosure. According to Melissa Data and the Sacramento Bee Homes Sales Database, the home sold in June 2009 for $359,100. I was confused since it was way below what the first lien was. I then checked the El Dorado County Assessors office, and the new owner is National City Bank (the first lien holder). The home hasn't shown up on the MLS yet. It was already in serious disrepair by the time we made our second offer (which was less than our first). Side note: One part of this saga that really confused me was how an appraisal could come out at asking price....even though a home had been on the market for over 6 months at that price. A home is worth what someone will pay for it. If no one is willing to pay that price, then in my mind, it is not priced right. (Conversely, recent stories of homes not appraising for asking, even though there are 3 legitimate offers over asking....means a home is worth more than asking). Having seen the home come through on both Melissa Data and Sac Bee, made me somewhat suspect of their data. It was my understanding their data did not include sales back to the bank. Thus any statistics (median price etc.) that are derived from these sources, will not be an accurate reflection of the market. Initially I thought perhaps the house was bought at auction, but the assessors office confirmed that the bank now owns the house. I will be very curious to see how much the house actually sells for. I am guessing between 375k-425k depending on the shape its in (our last offer in August was $425,000 if memory serves me right). Bank should have taken our first offer (pretty sure was more than what they were owed at the time). Obviously they had our best interest at heart ;) even though it didn't feel that way at the time. Last night Mr. BT and I had a spare moment to turn on the TV (doesn't happen often). A short time filler came on (KVIE, public TV) called Rob on the Road, which explores California. He featured a man from Woodland that has turned his home into a really cool gas station museum. Of course my next thought was, to wonder what the neighbors thought (traffic, eye soar etc.). This thought made me pause. We have been going through all the motions to build a deck in our backyard. We have already applied and received CSD (community service district) approval ($85), and then I spend some time in Placerville applying for the building permit (and asking some other questions) ($350). Of course all our relatives think it is outrageous that we have to jump through so many hoops to build a deck in our own backyard.....and I am a little ticked off at how expensive the fees are, since we are doing most of the work ourselves. All this to say, I wish there was a happy medium. Less red tape, neighborhoods with character and charm, but nothing too over the top. With all the chatter about shadow inventory, I thought it might be helpful to look at some local numbers. According to Metrolistmls.com the number of REOs on the market in EDH is 47, and about half of those are pending sale. Folsom has about 43, with many pending sale as well. According to foreclosure.com, EDH has 96 total REOs, and Folsom has 85. This means about half the REOs are actually listed in the MLS, leaving a theoretical shadow inventory of one out of every two bank owned homes. Below are some historical inventory levels of single family homes (does not include pending) gathered from Ziprealty.com, as well as the current number of NODs. To sum, inventory is down almost 30%, from 2007. Total REOs are down 17% for EDH, and 26% for Folsom from last year, however NODs are way way up. NODs are 33% above their level last year at this time for Folsom, and a whopping 54% above for EDH. As I reported about a year ago, my family has been experiencing quite a bit of displacement in regards to employment (way above average). Last month, after a difficult search, my Aunt who lives in the Rosemont area, finally found employment. And this week, I found out my cousin, who graduated UC Davis in December, has finally landed a job in the Bay area (he moved out a week ago). So at this point, just about everyone who was looking for work has found it. I must say, for the first time, in a very long time, I am starting to feel downright hopeful (heck even my 401k has been resuscitated from its forsaken state of misery!). I'm just praying this momentum is sustainable as opposed to a bounce along the way to the next leg down. At first I thought stress indicators might be leveling off....but, as of the last two weeks or so, they don't appear to be. At this point, all the local homeowner/investors I figured would end up in foreclosure, are somewhere on the list. In some small way, I find this encouraging, as I am hoping most of the troubled mortgages have been recognized, and no longer lurk ahead. While on a Southwest flight to San Diego, I browsed through their "spirit" magazine. They had a little fact sheet, based on Pew Research Center statistics. The survey asked Americans where they would like to move to. I was shocked, by the results.....Sacramento made number 9! With 28% of Americans wanting to move here (sandwiched between Portland and San Antonio). At the top of the list was Denver, San Diego, Seattle. A while back someone made a request for a list of "affordable social events for people on an average entertainment budget." Second Saturday - Great way to spend an evening in MidTown. Nimbus Fish Hatchery - Truly amazing to watch when the Salmon & Steelhead are spawning. The visitor center is very well done. American River Trail - We recently parked at the Fish Hatchery and rode north on the trail past Lake Natoma, and then stopped for a bite to eat at Dos Coyotes. My other favorite past time (before we had kids) was the 4th of July float down the American River. Although, from what I have heard, they have cracked down on drinking and floating. One year actually we made the local news with a makeshift pontoon boat, that had an American flag on it...the flag pole doubled as a beer bong. Don't hesitate to list some of your favorites in the comments. My cousin, who just graduated UC Davis (after 5 years in the military), has been living with us for the last month and a half while sorting out his life ambitions. He did have employment offers in Salt Lake City, where he grew up, but he prefers to find a job in the Bay Area. To me, this situation illustrates two important trends. 1) As many have reported, demand for housing and rental units will remain tempered, since unemployment forces people to accept less than ideal housing situations. 2) California will never lose its luster, especially for the young and single. Apparently the time has come......the WSJ has more or less called a housing bottom in Sacramento (with the unemployment wild card). The reason for my proclamation....back when the bubble began to burst, and with only a couple blog posts to my name, the WSJ was all over Sacramento as the poster child for what is wrong with the housing market. I wrote a post, making a joke about how the WSJ will likely let us know when there are signs of life in the market.......which occurred today on page D1. They also include the D.C area (Virginia suburbs), where we came from. Been thinking a bit more about what the next year or two will bring in terms of local real estate trends. They way I see it, the lower end is starting to stabilize. But the higher/desirable end (i.e. areas people would prefer to live) will be broken into two distinct patterns. In areas with substantial new development (homes built in the last 10 years), such as Elk Grove, Rocklin/Roseville, Folsom, El Dorado Hills, West Sac etc. home values will fall fairly fast. Many homes in these areas were built and bought at or near the top of the market. Thus they are much more likely to see a disproportionate number of foreclosures due to the heavy use of Option-ARM and other affordability products, which puts substatial downward pressure on prices. Established Sacramento neighborhoods, like East Sac, Arden/Arcade, Fair Oaks, Davis, Land Park etc. will fall at a much slower pace. As a percentage of total homes, there will be fewer buyers who bought at the top (but probably some who HELOC'd themselves into foreclosure). In general though, these owners are much less likely to be upside down. Eventually, those who would have purchased in a more established neighborhood, will opt for a less expensive newer neighborhood (I know we did). This drain on demand will eventually push down prices, or at least keep them from appreciating in the established neighborhoods. Just had to share some happy news (it doesn't seem to come often these days). My uncle's wife, who was laid off from a local propane company in August, finally received a job offer. The search has been very difficult. For every position she has applied for, her resume has been one of hundreds. Our whole family is so very relieved to hear this news. Unfortunately, my uncle the printer, is still being furloughed frequently. As I have mentioned before, I consider printing activity a leading indicator, so I don't think the Sacramento economy is out of the woods just yet, but it does mean at least my uncle's family should be okay....phew. Below is an editorial from the Sacramento Bee related to rehabilitating housing in El Dorado County. Thought it might be interesting to the blog's readership. I really don't understand why the BOS rejected the money. It's not like they would be saving the Federal government money. The money has been budgeted and will be spent regardless. I would rather seem my federal tax dollars spent here as opposed to somwhere else. It's rare that the left and the right find common ground in El Dorado County, but that's what happened the other day. A conservative Republican real estate agent and an activist Democrat affordable-housing advocate both urged El Dorado County supervisors to accept $1.6 million in federal stimulus funds to rehabilitate foreclosed homes. The supervisors refused, arguing that stimulus money would lead to more government intrusion into society. Initially, the supervisors rejected the federal grant 4-1 without even bothering to schedule a staff presentation on the proposal. When local contractors and real estate industry representatives raised a fuss, they reconsidered. But the board majority of Jack Sweeney, Ron Briggs and John Knight voted "no" a second time. Supervisor Norma Santiago favored taking the funds all along. Ray Nutting, who'd voted with the majority the first time, wisely switched sides after listening to his constituents. The $1.6 million would have allowed El Dorado to rehabilitate and resell between eight and 18 homes to families with low and moderate incomes. Workers would have been paid the prevailing wage, supervisors noted, which in California means the union rate, which makes projects more expensive. But anything built with government funds in El Dorado, including roads, dams, overpasses and schools, requires union wage rates. Why get squeamish about that now? Judy Mathat, a real estate agent and activist Republican, told the supervisors she agrees that government intrusion into the economy is dangerous. Nonetheless, she urged them to accept the funds. Her industry has been devastated by the housing collapse. The funds would have helped contractors, plumbers, painters and others in her industry keep their own homes from sliding into foreclosure. To spurn federal help now, with the county in an economic slump, was just foolish. By far, the worst thing about moving has been dealing with all the utilities. The only utility that seemed to get it right was our trash bill. I didn't account for any additional savings or expenses from utilities into our rent/buy decision. Unfortunately, so far there have been several unanticipated expenses, and hours of wasted time. 1) El Dorado Irrigation - We didn't receive our first bill, then when the second notice came, it had a late fee that they wouldn't waive (over 2 years of prompt payment at the other house meant nothing to them). Apparently it's my fault if I don't get the bill. To top it off, the bill was much more expensive. If a house has no record from which to base the sewer charge, they just charge the area average.....again, our over two years of below average use at the other house meant nothing. Incredibly frustrating. 2) Comcast (Internet, TV, Phone) - I don't even know where to begin....Comcast has been an absolute nightmare to deal with. At the rental, we had the AT&T U-verse set up which was considerably less expensive compared to Comcast. The original installer was so anxious to get to his next appointment he closed out the ticket before I had phone service....which then took me 2.5 days and multiple phone calls to get settled. This was a major issue for me as I work out of the house. They have yet to cap all the lines in the front of our house, even after several calls. They won't list their bundled services separately on their bill (so I can be reimbursed by my work), so we have to pay extra for that privilege (ridiculous). To top it all off, their service is very spotty, phone calls get dropped, Internet goes out for long periods of time during the workweek. I have about had it with them, and plan to switch to AT&T & Dish service next month. Unfortunately their U-verse is not offered here, otherwise we would have started with that. 3) PG&E - For some reason, the lady on the phone changed the service into our name the day I called, as opposed to the day we closed escrow. Major inconvenience trying to get that straightened out, but at least it didn't cost us extra. A lesson in frustration to say the least. There has been much emphasis in the bloggosphere about the fact that subprime was only the beginning of our troubles. With warnings of huge defaults of Alt-A, Option ARM , and even Prime loans soon to come (yes I am mixing products and types). We are now seeing big increases in the defaults of these products and types of loans. There seems to be a general consensus that the lower price ranges have more or less bottomed....but the mid to high end are still to take a big hit. However what I want to know, is what exactly is mid to high end? Is it relative to all the homes in a metro area?.....say 350k for Sac. Or is it relative to the entire stock of housing in California?...say an 650k home in one of the coastal cities. I wonder about this, because what might be considered a high end price range in the Sac Metro area, is probably just a starter home in many of the Coastal cities (LA, SF, San Diego, Orange County, Santa Barbara, etc.). Basically I want to know how much of the forecasted doom and gloom applies to Sacramento and other cities in the valley (i.e. Stocton, Merced, Fresno, Bakersfield), versus the cities along the Coast of our financially doomed state. A Failed Friendship - Hurt by Housing? This post has been removed....I needed to write about a very hurtful experience I recently went through...but have realized, it was probably not a good idea to post it. Back in March (Friday the 13th to be specific) shortly after the DOW hit new lows....our department started a "pool party" on when and at what point the DOW hits bottom. I will be out of the money here shortly as I had guessed July 8th at 6394. Thinking CRE was still to hit the fan as well as inflation. In theory the stock market is a foreword looking indicator (not sure I agree). Curious to know what others think, was March 9th bottom, or is this another false rally...yet to plumb the depths of the market? Opinion on the recession..... are we really past bottom...bumping along bottom? If so, long recovery (L) or short recovery (V)? If not, why not? I've also heard a lot of conflicting thoughts on inflation. Some think we are in a liquidity trap, others think inflation is going to take off very shortly here. What do you think? Will market volitility ever abate?...in particular I am refering to commodities like oil. Steep swings in prices are really tough for industries like aviation to digest and will be a huge drag on recovery. Is it speculators driving the wild swings or legitimate concerns about the dollar and inflation?